Surgical Steel Bar With Sterling Silver Cubic Zirconia Cluster Drop. Surgical Steel Bar With Sterling Silver Cubic Zirconia Drop. 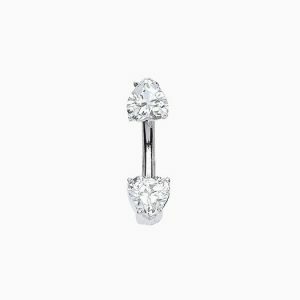 Surgical Steel Bar With Sterling Silver Cubic Zirconia Top & Bottom Stud. 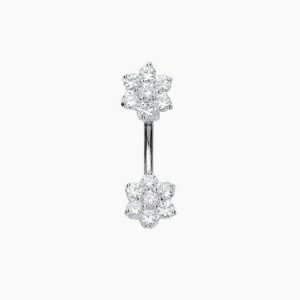 Surgical Steel Bar With Sterling Silver Cubic Zirconia Cluster Top & Bottom. Surgical Steel Bar With Sterling Silver Cubic Zirconia Double Round Stone Drop. Surgical Steel Bar With Sterling Silver Cubic Zirconia Triple Stone Brilliant Cut Drop. Surgical Steel Bar With Sterling Silver Cubic Zirconia Triple Stone Pear Shape Drop. 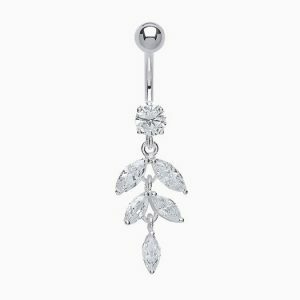 Surgical Steel Bar With Sterling Silver Cubic Zirconia Triple Stone Cluster & Pear Shape Drop. Surgical Steel Bar With Sterling Silver Cubic Zirconia Triple Star Cluster Drop. Surgical Steel Bar With Sterling Silver Cubic Zirconia Four Tier Drop.